Swiss folklore figures, professionals and village original. 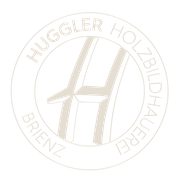 Typical Huggler figures in various designs. Pets, bears and wild animals of Switzerland. A typical Swiss tradition ist to give a little chair for baptism.